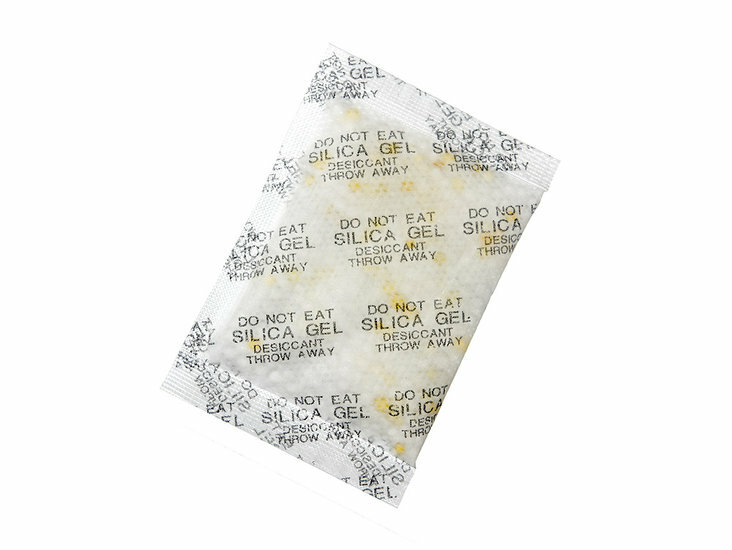 Silica Gel White – with Orange indicator in a paper bag with “Do not eat” print. Measurements 65 x 44 x 5 mm. 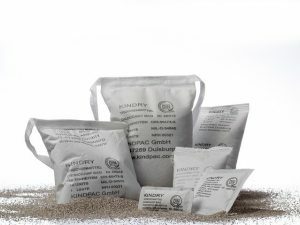 Available in quantities of 100 or 400 pcs. Silica Gel Orange 5 gram non-food desiccant with indicator. 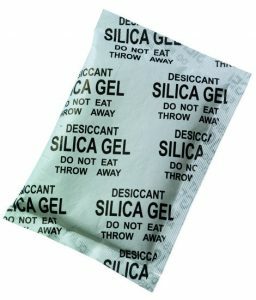 Silica Gel Orange 5Gr non-food desiccant with indicator. 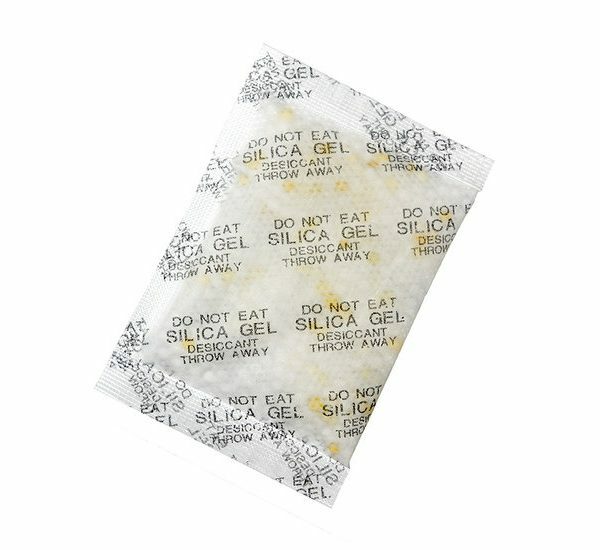 Non-Food Bag, 100 or 400 pieces of 5 gram.